The awesome Plex Media Server can now finally be installed on the Raspberry Pi 2 without a chroot. The chroot method broke when using upstart scripts and had metadata issues, those are no longer a problem! Using a Synology package compiled for an ARMv7 processor we can use it on the Pi 2 with a bit of extra work. This will unfortunately not work on the B+ or earlier models as they use an ARMv6 processor. Many thanks to uglymagoo from the Plex forum who identified the package that could be used without a chroot on the Raspberry Pi 2. 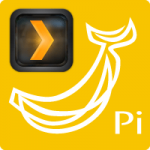 I used a minimal Raspbian distribution Minibian for this guide, when you are done Plex will also autostart on boot. There is also a link to an image at the bottom of this post with Minibian and Plex installed, please share this post if you use the image. This how-to also has a section on fixing Plex permissions so if your Plex can’t see your folders then you will be able to solve that problem here. There are also Media Server and HTPC Combo Images available here that combine Kodi, usenet and torrent automation. Plex for ARM CPU architectures is compiled with very limited transcoding abilities. 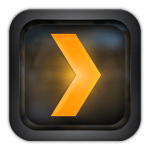 Do not expect transcoding to work, you will get the best experience by using DirectPlay or DirectStream features of Plex streaming locally. H264 content should play remotely as long your internet connection can support it and client can play back the media’s codecs. If your content has subtitles it will not work for transcoding. The Banana Pi can run Plex Media Server as well and sports a SATA and gigabit port for extra speed (see benchmarks). Guides for other ARMv7 processors are available: ODROID-C1, Orange Pi and Banana Pi. This guide has been split up into four methods in order of easiest to hardest. You must start with the pre install section to make sure the locales are in order before you proceed to the other methods, I recommend using the repository as it is easiest and fastest. 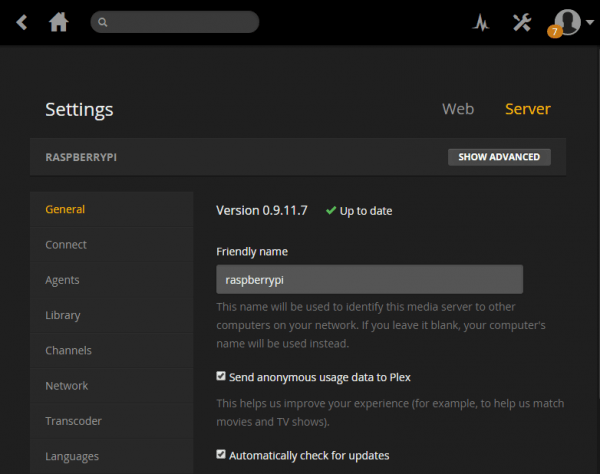 Monitor Plex Media Server and restart it automatically with this guide. 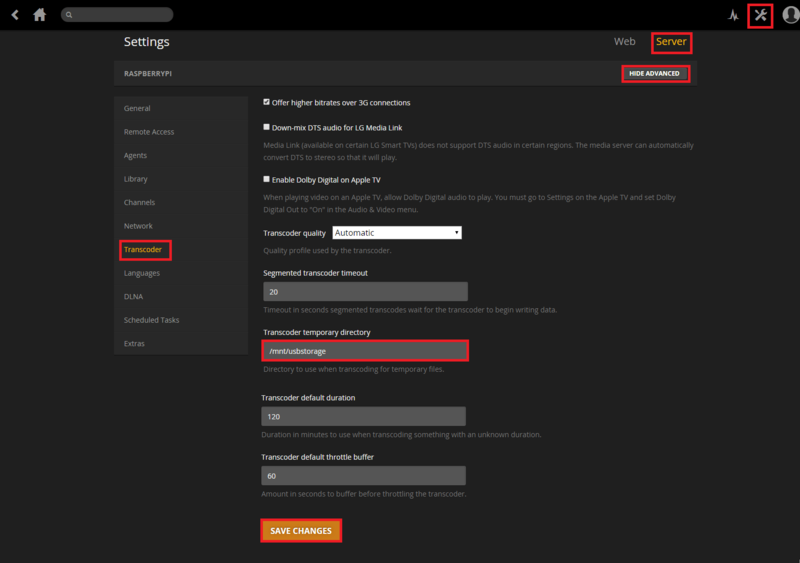 Do not use Plex.tv instead use Dynamic DNS and a reverse proxy with this guide. If you are having problems with video playback you can use an older transcoder with this guide. As of Plex 0.9.12.8, version 2.19 of libc6 is required, Wheezy (the current prevalent repo) only has version 2.13. You can install version 2.19 manually though but it involves pinning apt sources which can cause other issues. If you don’t care about having the latest and greates version then you can just use uglymagoo’s Wheezy repo. I recommend backing up your SD card before manipulating your packages. 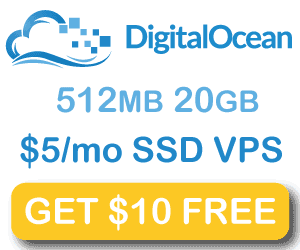 Make sure you have read the warnings above and have backed up or are using an extra SD card. If it still says any version below 2.19 here is how to fix it by changing pin preferences. If it hasn’t started then you may have a systemd / init.d issue which can happen if you are on Debian jessie, start Plex manually like this, the & puts in the background. If you are troubleshooting leave out the & to get some error information. Read about usenet for grabbing content automatically. This method grabs the latest package straight from uglymagoo’s repository. It was used before uglymagoo created a repository and is only here for the sake of completion. Replace the http link below with the link you copied. You do not need to read the rest of this guide but can now configure Plex or install some transcoding tools at the bottom of this post. This method is deprecated, see the new manual installation guide. 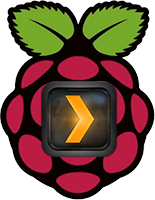 With this method you are going to grab the latest plex ARMv7 Synology package straight from Plex and turn into a deb package you can install on your Raspberry Pi 2. Install the transcoding tools at the bottom of this post. The following section is only necessary if the above methods do not work. I will update this section to mimic the exact paths from the package above to avoid any future confusion if methods are mixed. It is based on the chroot guide. Plex is updating packages so often it is worth making sure you are grabbing the latest package by grabbing the newest download link as outlined in Method 2 and using the new file name in the 3 relevant lines below). This is for the manual method only! Plex Media Server requires a new libc6 module that you can pull from the jessie repo (thanks again to uglymagoo). This part may not necessary if you used the precompiled deb package at the top. It may help enable XviD, DivX and MKV playback in the Plex web interface and in the Plex app. If you already have libc6 2.19 you can skip the next 3 steps and go to Use Hard Drive for Transcoding. This next block should no longer be necessary and is here for archival purposes only. Grab the package, extract the libc6 file and place it in the Plex Media Server folder. The libc6 is from the jessie testing repo can is updated from time to time, if you get a not found error try incrementing the version by 1 or 2 so that the filename is for example: libc6_2.19-19_armhf.deb. If Plex isn’t reading your drives or folders you can do one of two things, change the permissions of your external storage or change the user Plex is running as (which could mean you need to rescan for metadata). I plan to create a Raspberry Pi 2 cluster to see if transcoding improves with 2 working together. There is a ready made image for the Raspberry Pi 2 that are regularly updated, share the post to reveal the links. Update Plex by running sudo apt-get update && sudo apt-get upgrade -y. It is best to use the Minibian Image and install using the installer.